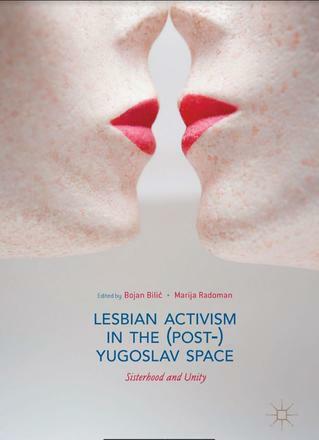 This book intertwines academic and activist voices to engage with more than three decades of lesbian activism in the Yugoslav space. The empirically rich contributions uncover a range of lesbian initiatives and the fundamental, but rarely acknowledged, role that lesbian alliances have played in articulating a feminist response to the upsurge of nationalism, widespread violence against women, and high levels of lesbophobia and homophobia in all of the post-Yugoslav states. By offering a distinctly intergenerational and transnational perspective, this collection does not only shed new light on a severely marginalised group of people, but constitutes a pioneering effort in accounting for the intricacies – solidarities, joys, and tensions – of lesbian activist organising in a post-conflict and post-socialist environment. With a plethora of authorial standpoints and innovative methodological approaches, the volume challenges the systematic absence of (post-)Yugoslav lesbian activist enterprises from recent social science scholarship.